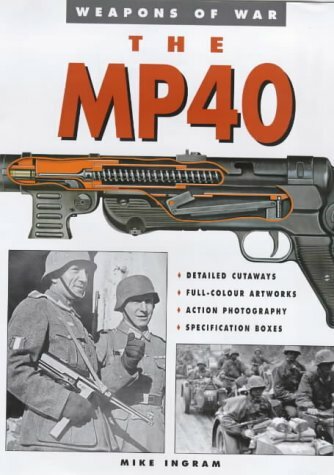 Mike has been writing for the defence press and history magazines since the 1980's. His articles have appeared in many magazines and newspapers including a monthly article on the medieval history of his home town, Northampton for the NeneQuirer magazine. Other articles have been published in Medieval Warfare Magazine and the Battlefields Trust Magazine - Battlefield. Mike has also written a number of books as below. Foreword by Dr. Phil Stone, Chairman Richard III Society. ​Yet another book on Richard III and the Battle of Bosworth? Yes, but one that gives a different and interesting perspective on the combatants and the battle that saw a change of regime and the death of the last of the Plantagenet kings. In this work of considerable scholarship, Mike Ingram avoids telling us what the principal characters thought, since we cannot possibly know what was in anyone’s mind five hundred or more years ago. We get the facts as can be found in contemporary chronicles and archaeological findings. There is a useful account of how a medieval army was made up, how it was armed and how it worked. The overview of warfare as fought in England compared with France and Flanders is a bonus. 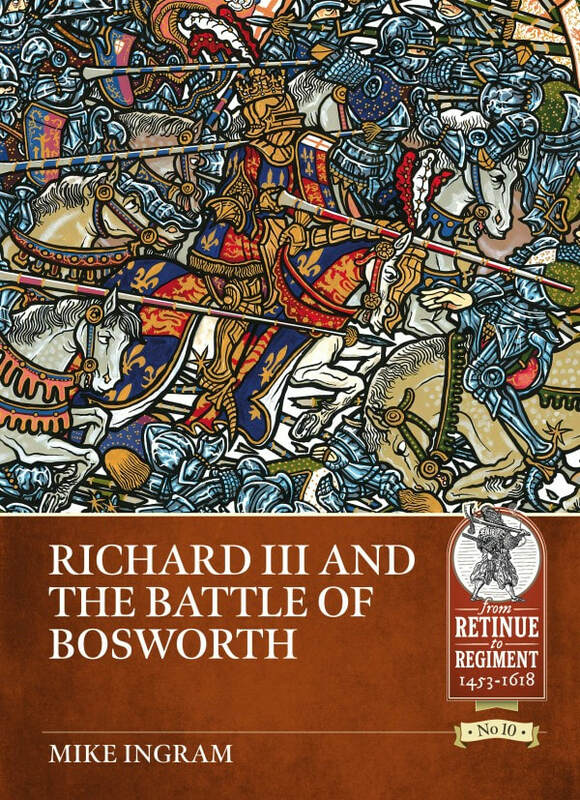 For many years, the account of the Battle we know as Bosworth has been based on accounts by historians rather than contemporary or near contemporary sources, with authors trying to make their theories fit the then known topography. Thanks to the work of Glenn Foard et al in 2010, we have a clearer idea of where the battle of Bosworth was actually fought and can see how some of these earlier accounts can no longer be made to work. The author enables us to see a way that the battle may have been fought that fits with what we now know to be the true battlefield site. It is good to find another debunking of the hunchback myth using the findings from the discovery and analysis of Richard III’s remains. This is a fascinating book giving another perspective on one of the most important battles ever fought on English soil. It tells of how it came about as the allegiance of fifteenth century magnates flowed from one side to another, enabling the reader to understand so much more as to why King Richard came to his untimely end. It is an interesting read and the author is to be thanked for this. ﻿﻿It should have been the battle that ended Richard of York's rebellions. With the Yorkists politically destroyed and the estates confiscated, all that remained was to carry out the punishment for treason - death. On 10 July 1460, King Henry VI and his army waited for the Yorkists in a heavily fortified camp in fields outside Northampton. However, they did not count on the treachery of Lord Grey of Ruthin. For the first time, this is the full story of the Battle of Northampton which took place during the turbulent period now known as the Wars of the Roses. It was the first and only time that a fortified camp was assaulted and was the last time protracted negotiations took place before a battle. In its immediate aftermath the House of York laid claim to the throne of England for the first time and so began the bloodiest phase of the Wars of the Roses - the war of succession. As well as the battle itself, the book looks at Northamptonshire's medieval history and its involvement in the Wars of the Roses. Northampton today is, frankly, an under-appreciated, often overlooked, town. The joke is, people only know of Northamptonshire because they shoot through it on the M1: they note the name of the county town on notice boards from exits 15 to 16. But this was, once, one of the great centres of power and influence in early and Medieval England. It was also, with Oxford, home to one of the first two universities in the land. Mike Ingram brings fine scholastic research to play, in reminding people of Northampton's past importance - strategic and social. His energetic prose gives colour to every page, while his revelations intrigue and entertain. He helps us appreciate why one of the great battles of English history took place in this Midland town, and he skilfully resurrects the generals and ordinary soldiers who clashed in an engagement that helped lay the foundations of this nation's past. You don't need to be a champion or resident of Northampton to appreciate this overdue appraisal of the battle that bears its name. This is a book that everyone who loves History - particularly the almost forgotten kind - will savour. 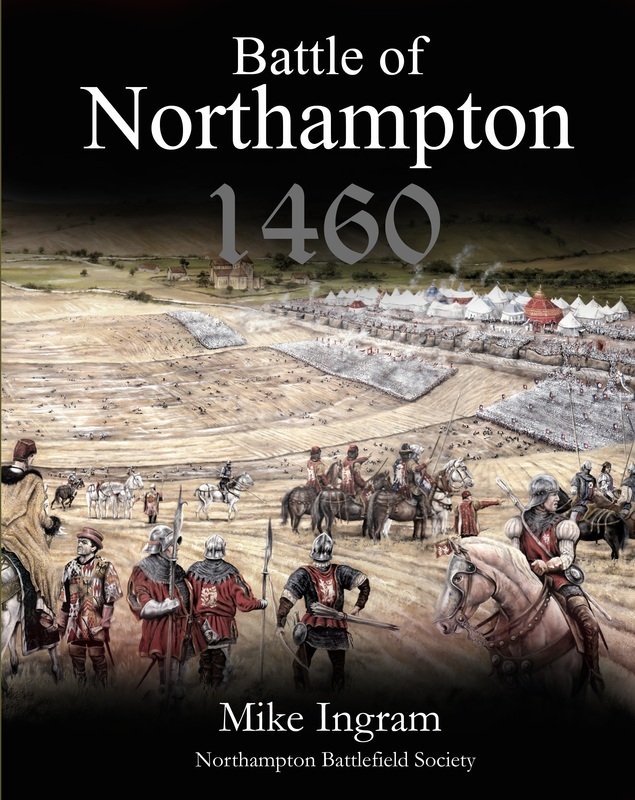 5 stars "Mike Ingram has spent a lifetime studying the history of Northamptonshire. This book is the jewel in the crown for those interested in The Battle of Northampton and the Wars of the Roses. Perhaps Northampton Council members ought to be presented with personal copies to enable them to realise the history on their doorstep that they seems so intent on despoiling. Recommended"
5 stars "Thoroughly good read and very well written and researched. Well done! You have managed to bring the battle to life and done the local history movement a great service and given us a valuable literary addition to our collective heritage". 5 stars "A thoroughly enjoyable book. Not only does it cover the battle itself, but why it was fought, why it is such a significant battle and the aftermath. Strongly recommended"
5 stars "Great read, you can clearly understand the who, what, where and why for both before and after the battle. Plus the review of the sources at the back of the book, gives a good understanding of the people who were writing about the battle at the time it happened or just after. 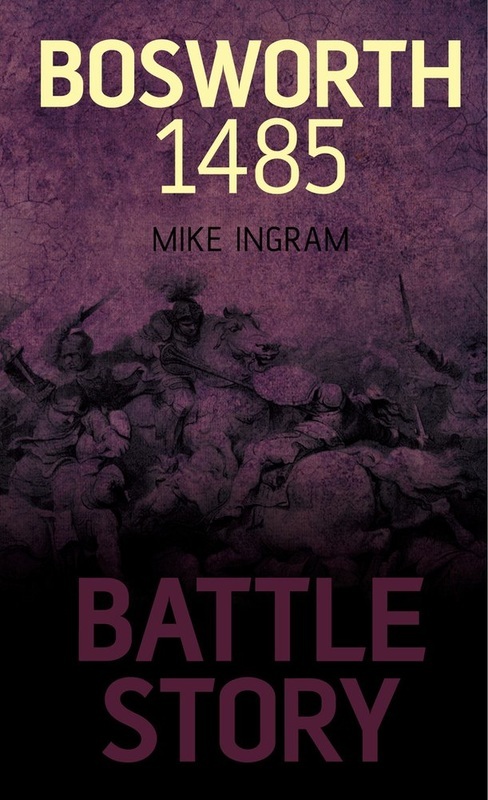 So you can understand which bits to trust and which parts need more research to they content"
"Mike Ingram is a historian passionate about this battle, this era and his home town of Northampton. He has skilfully reviewed the sources from contemporaneous chronicles to 2015 archaeological finds and produced a concise, detailed and easily read account of this fascinating battle. He deftly guides the reader through the warfare of the period, the personalities, the politics, the pre-battle negotiations, the fighting, the treachery and the aftermath. The book is beautifully illustrated with artist’s impressions from Matt Ryan, one of the best and most authentic battlefield artists in the business, and is helpfully supplemented by translations of many of the original sources. This compact book should be in the daysack of any visitor to Northampton and will fascinate anyone with an interest in this turbulent era". ​What they are saying ? 5 stars "I found this a great little book. Having read some of the works of this period there is an astonishing divergence of opinion as to what happened and many are in conflict with each other. In addition, much of the information on the internet is superficial or just wrong and much work appears to have been copied from each other. Mike Ingram argues his case cogently and makes a powerful concise argument as to the probable sequence of events. It also seems up to date with the new archaeology on the site. Well worth reading"
5 stars "The ultimate book to get to know all about Bosworth, written by an expert who loves his subject - can’t say more than that"
.5 stars "Gripping stuff. Forget all that Historical novel nonsense and get stuck into the real thing. Intrigue, back stabbing, beheading and all topped off by a ferocious cavalry charge.....what are you waiting for?" 5 stars . "Couldn't believe the amazing detail in this book. Thoroughly enjoyed reading it. Best rendering of the battle I've read so far." 5 stars "Written in plain English for the hard of understanding (like me). I enjoyed it so much that I'm arranging a a visit to Bosworth in the Spring, not many books can make you do that! It's one of those rare books that I look foward to reading again. If more history books were written like this then more people would read them".